After rounds of contentious public hearings and protests from those on both sides of the debate, the New York City Council unanimously approved a wide-ranging rezoning for the East Harlem neighborhood on November 30th, as well as the 750,000-square foot, mixed-use Sendero Verde development. The latest rezoning plan covers a 96-block area from East 106th Street to East 138th Street and is meant to address the looming affordable housing crisis facing the neighborhood. 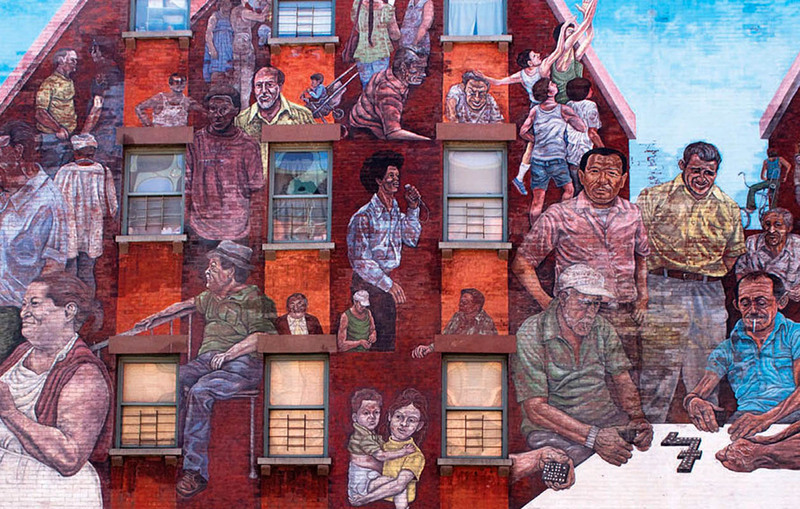 Proponents of the move have said that East Harlem, where half of all residents are rent-burdened, or spend more than one-third of their income on rent, will lose 200 to 500 units of affordable housing per year without intervention. Officials from the Department of Housing Preservation and Development have argued that, by allowing higher density development, mandatory inclusionary housing requirements will be triggered and necessitate that 20 to 25 percent of the units in new developments will be affordable. After Manhattan Borough President Gale Brewer and Viverito formed a neighborhood plan in 2015 that laid out what the community wanted out of a potential rezoning, neighborhood groups and Community Board 11 later pushed back after they felt their recommendations had been ignored. A new deal, struck by City Council Speaker Melissa Mark-Viverito and Mayor Bill de Blasio before the final vote, now caps building heights at a maximum of 325 feet along the neighborhood’s transit corridors, to limit density and address pushback from East Harlem residents. Other than the new development limits, city officials included a $222 million investment into improving the lives of current residents, including a $50 million concession for New York City Housing Authority’s (NYCHA) East Harlem buildings and $102 million for a new public park between East 125th Street and East 132nd Street. Still, some residents feel that the new deal doesn’t hew closely enough to the Neighborhood Plan, that the city should have taken rent-stabilized buildings out of the rezoning area, and that the definition of “affordable housing” will need to be more reflective of a neighborhood with a median income of $30,000 a year. Also on the City Council’s docket was the approval of the Handel Architects-designed Sendero Verde project, a 680-unit, fully affordable mixed-use development built to passive house standards. Anticipating that the rezoning would pass, Sendero Verde will occupy an entire block, from East 111th to 112th Street, between Park and Madison avenues. Although the development will replace four existing community gardens, it also includes a DREAM charter school, grocery store, YMCA, restaurant, and Mount Sinai-run health facility. East Harlem is already changing rapidly, with several new projects from well-known studios, such as Bjarke Ingels Group’s (BIG) Gotham East 126th Residential having broken ground in recent months. 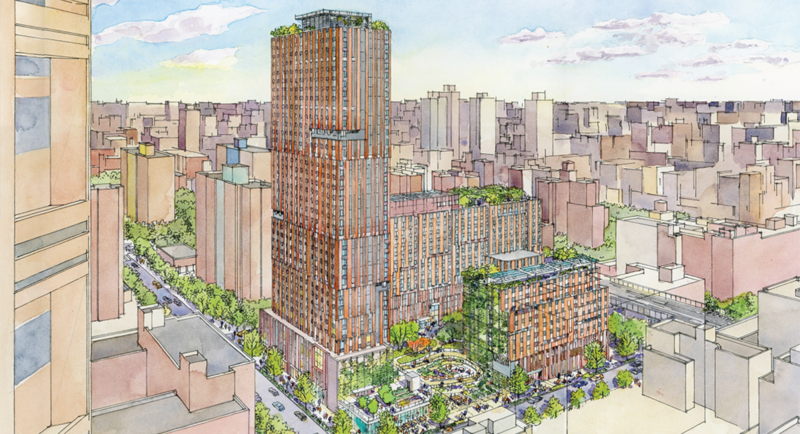 The full, finalized list of changes made to the East Harlem rezoning plan can be read here.